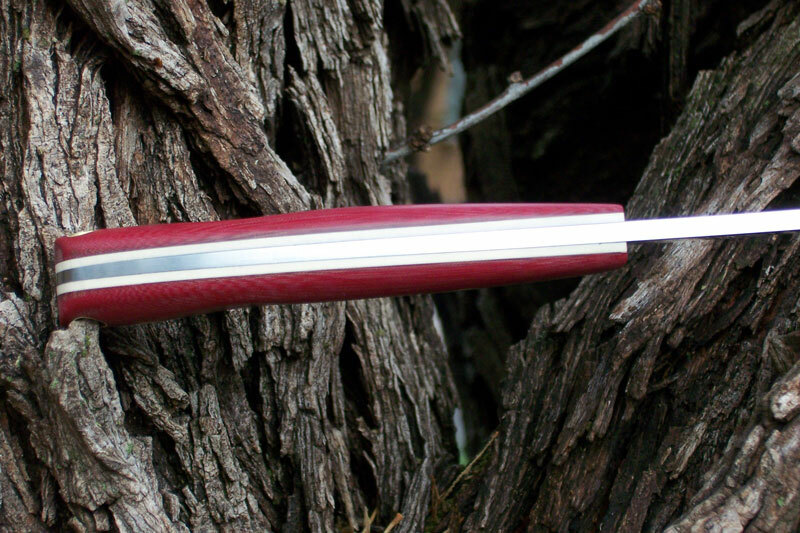 This knife is a skinner or bird/trout design inspired by a knife my son Jonathan drew up. The knife is 7 5/8 long with an upswept 3 3/8 blade of ATS34 stainless hardened to 60RC and dry ice tempered. Machine satin finish. 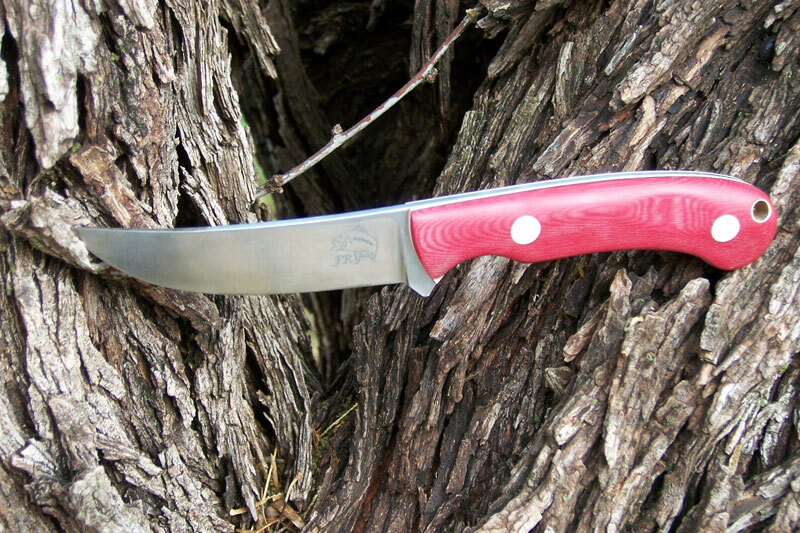 The knife features a tapered tang, contoured red micarta handles with 1/16 white micarta liners, and brass Corby bolts. Incidentally, this is my first time to use Corbies. 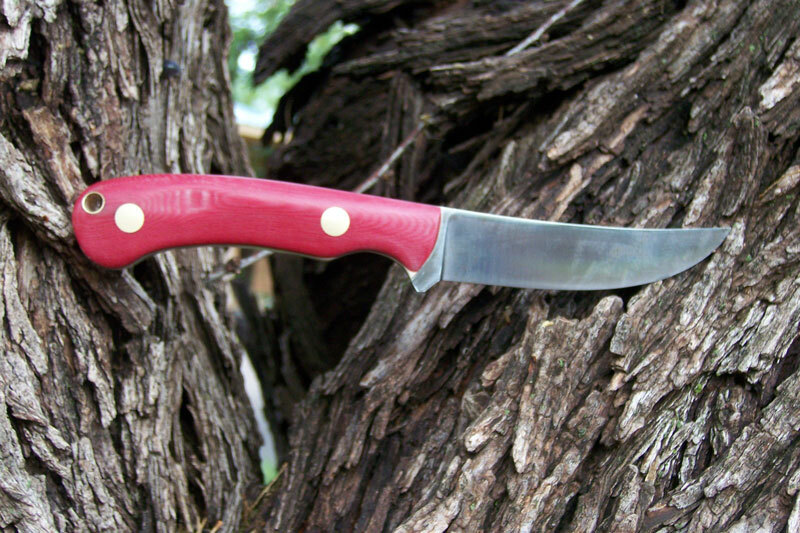 This knife can be made in a variety of handle materials and in carbon or stainless steel.